You can now pay your property taxes online by electronic check with your checking or savings account online with no additional fees! You can even setup automatic payments to pay your Spring and Fall installments, or you can setup monthly payments to make it easier to budget for your property taxes. All this at no cost to you! 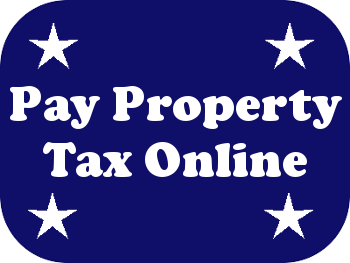 Property tax due dates: May 10, 2019 and November 12, 2019. Want to know how property tax works? The Department of Local Government Finance (DLGF) has an excellent page that describes how property tax works. Want to calculate your own tax bill? The DLGF has an online calculator to do just that! Need information about deductions and expemptions for your property tax? Once again, the DLGF has it covered. You can find information about the homestead, mortgage, over 65, veteran and many more. The DLGF also has county specific information on their website. On that page is just about everything you could ever want to know about Madison County's finances, and probably lots of stuff you didn't want to know! The Madison County Treasurer is the general tax collector, custodian, and investor for Madison County. Our office can assist you with making payments, determining your balance due, obtaining mobile home transfer permits and answering any questions about past taxes. Doing business with the county government can be somewhat confusing, so we've developed this handy list to help you navigate the various offices that deal with property tax.